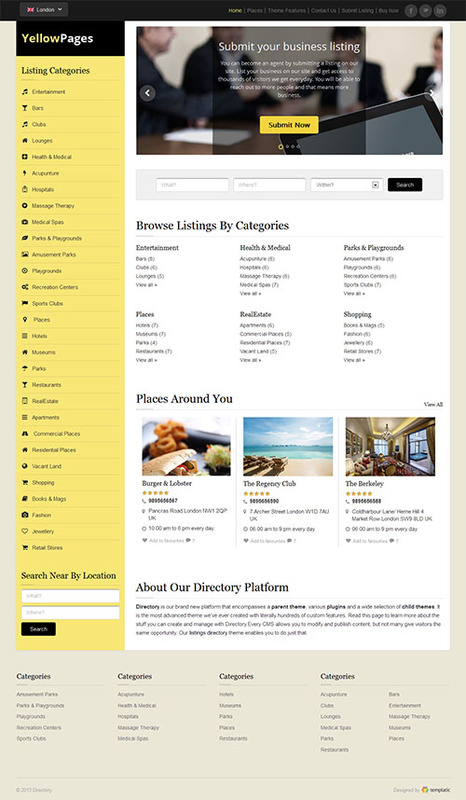 Yellow Pages is a child theme to the outstanding Templatic Directory WordPress Theme. 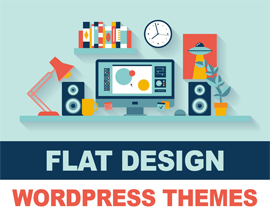 This means that you must have the parent theme in order for the child theme to work. With Yellow Pages and Directory, you can create a collection of listings from your home town or from around the world. The lovely white and yellow color scheme of this theme is strikingly familiar to users, so they feel right at home perusing your listings. Add in locations for restaurants, offices, and even events. Then add them to a homepage map. Or don’t add a map, and include a homepage slider instead. Whatever you choose its easy to change the look and feel of the Yellow Pages sine the entire homepage is widgetized so your can create your own custom layout. Don’t feel locked into the yellow color scheme just because the theme is named Yellow Pages. There are plenty of color options for you to choose from to create a website that works for you. Plus the theme is fully responsive so people can use your site to find where they’re looking for at home or on the go. 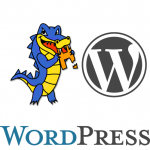 The theme also includes all of the great features of it’s parent, Directory. That’s right – the massive global directory, supercharges Google maps, awesome user pages, e-commerce support, monetization options and more are all functional with the Yellow Pages child theme. See what else Directory can do by checking out the list below. Each theme includes custom page templates to easier display your rooms, photos, nearby attractions, testimonials, etc.